Make ahead smoothies are life changing! 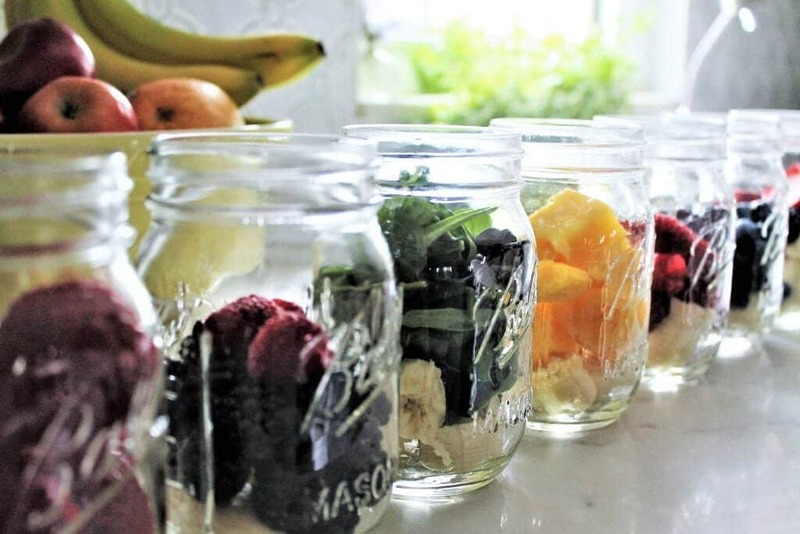 Blend your smoothie right in a jar, and you’re ready to go! Yes, it possible! They sell blenders, like this one, that comes with mason jars to blend right inside the jar. When I saw this, I knew that I could prepare my smoothies ahead of time. Now I’m ready with healthy breakfasts and snacks for the whole week! So, after sitting in front of my computer for the past few months building this blog and of course doing lots of cooking and taste testing, I have to start getting back into shape for summer. Having some fresh, healthy smoothies on hand would help with this! My husband is always stressed about what gluten-free, vegan, healthy thing that he can grab for breakfast on his way out the door for work in the morning. So, I decided to do some meal prep. How do I prep for make-ahead smoothies? I bought extra jars that go with my blender to make sure that I have lots on hand. I found some great fresh berries on sale at my local market and set up an assembly line of bananas and berries. It was so easy! Break up bananas into pieces and put about ½ of a banana into the bottom of each jar. Fill each jar with about 3/4 cup fruit or berries leaving enough space to fit the blender blade into the top of the jar. Freeze until you’re ready to blend. How do I blend my smoothie? Take it out of the freezer and open up the jar. Fill up the jar with your choice of milk or water. (You can also put in some protein powder and/or sweetener at this time if you choose). Screw on the blender blade to the top of the jar. Blend for about 30 seconds and you’re done! If you want to add protein powder or a sweetener to it, just do so along with the liquid. 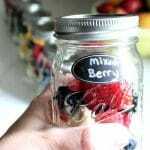 The berries may stick to the bottom of the jar, just wait a minute and give it a shake and they will release. (If the berries are wet when you put them in, they may freeze to the side a little. They will loosen up in about a minute). Once blended, you can put the lid back on and take it with you on your way out the door, or just sit down and enjoy! How long does it take to prep make ahead smoothies? It took less than 10 minutes to make a weeks’ worth of smoothies for the family! We now have tons of healthy snacks, and portable breakfasts ready to go. Will these make-ahead smoothies work well for kids? Yes! My kids love making smoothies! I loved that they were eating all of these healthy fruits, however, they used to make a big mess with them. Fruit spills, they don’t put things back in the freezer, and worst of all, they start getting crazy adding sugar, chocolate syrup, and candy to make crazy concoctions. The pre-made jars work great for the kids to have lots of choices and still feel like they are making it. However, they aren’t making the mess or putting in the junk that they did in the past. What flavor combos taste good in smoothies? I usually use 1/2 a banana in each of my smoothies. I find it makes it sweet and creamy, but if you want to leave it out, just add about 1/4 cup more fruit in its place. Strawberry Banana: 1/2 a banana and 3/4 cup strawberies. Peach: 1/2 a banana and 3/4 cup peaches. Raspberry: 1/2 a banana and 3/4 cup raspberries. Mango: 1/2 a banana and 3/4 cup chopped mango. Mixed Berry: 1/2 a banana and 1/4 cup strawberries 1/4 cup blueberries, and 1/4 cup raspberries. Mint Chocolate Chip: 1/2 a banana, 1/2 cup spinach, about 10 chocolate chips and a tiny drop of peppermint oil. *Add 1 cup milk of choice at the time of blending along with protein powder and sweetener if you choose. You can also add 1/2 milk and 1/2 yogurt. Check out my recipe for homemade soy yogurt too! How will I remember which flavors I made? Get some chalkboard stickers, and stick one on each smoothie. Labeled them with a wet erase pen. This way people would know what they were choosing later. How can I do make ahead smoothies without a mason jar safe blender? If you don’t have a bender that can safely screw onto mason jars, you can simply do the same thing using a freezer bag or even simple sandwich bags if you will be using them up quickly. Just grab the bag out of the freezer and dump in your blender with a cup of milk, blend, and you’re done! Since I made up a bunch of different flavors, we aren’t getting bored and it is fun to try a new one every time. The hardest thing is to decide which flavor to pick! *Make sure that you follow safety directions and only use jars compatible with your blender! 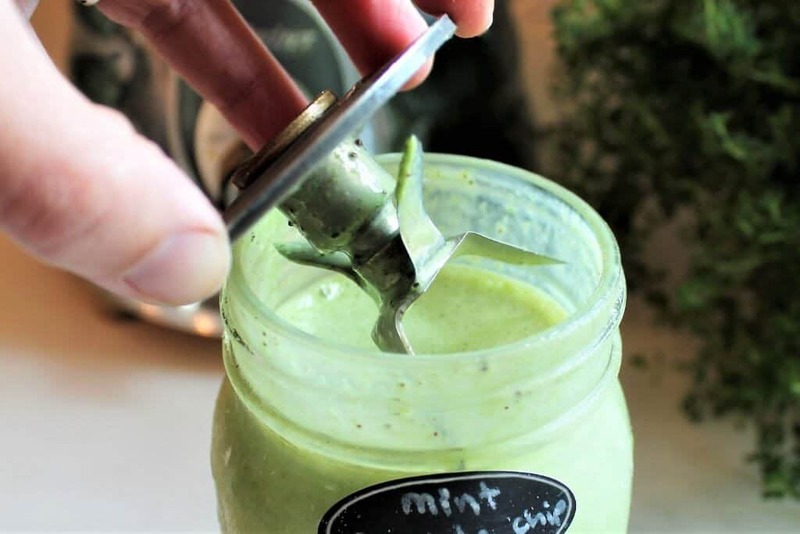 Other glass jars may fit on your blender, but many are not strong enough and could possibly break while blending. If you like this idea, you will love my make-ahead easy chia pudding for another breakfast solution! 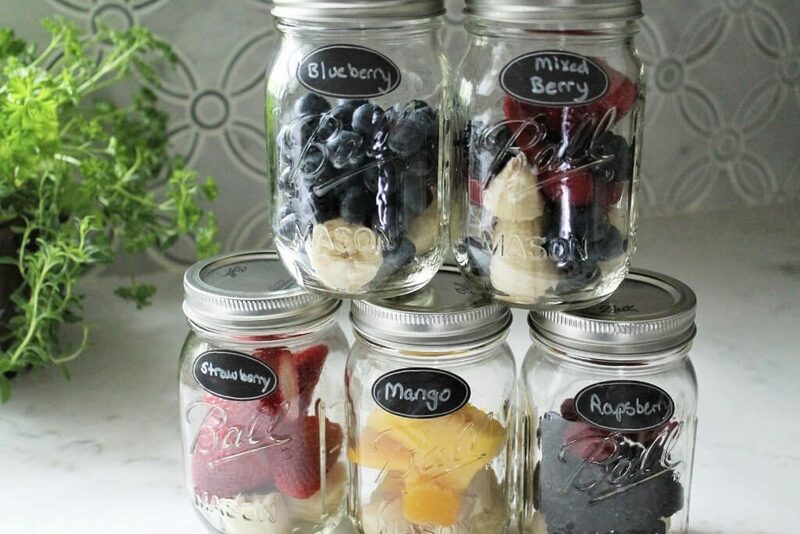 Pin the Make Ahead Smoothies for later! An easy way to always have smoothies in the freezer and ready to blend. Vegan, gluten-free, and full of fruits and veggies! Break up bananas and put about ½ in the bottom of each jar (or freezer bag). 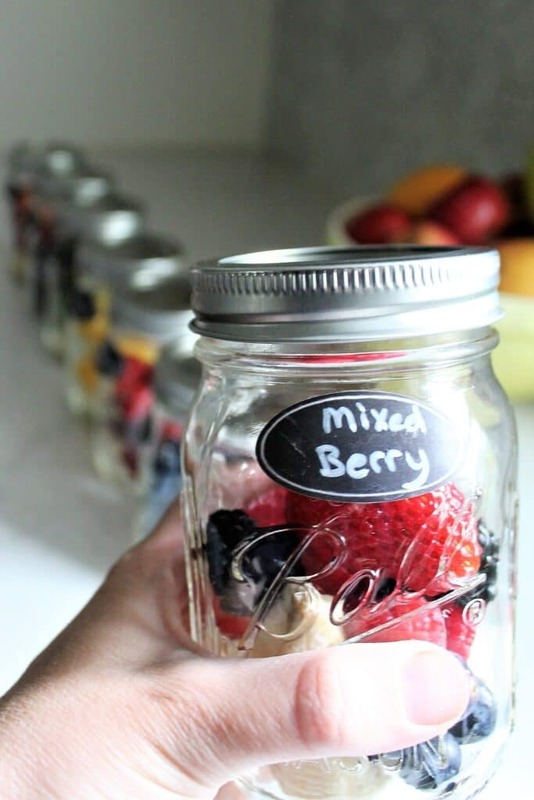 Fill the jar with about a cup of fresh or frozen berries or fruit of choice. 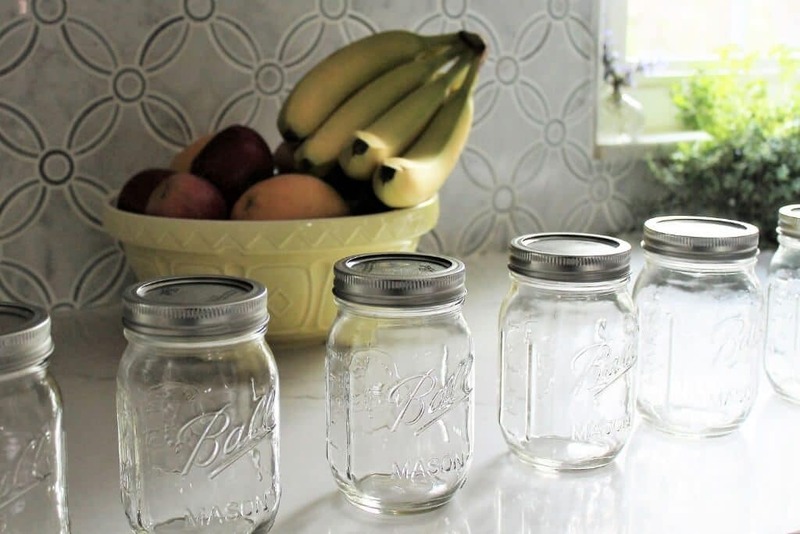 Freeze in Mason jars until ready to use. Screw off the lid and fill up with your milk of choice or water. Add sweetener or protein powder if desired. Screw blender blade to the top of the blender safe Mason jar and blend. 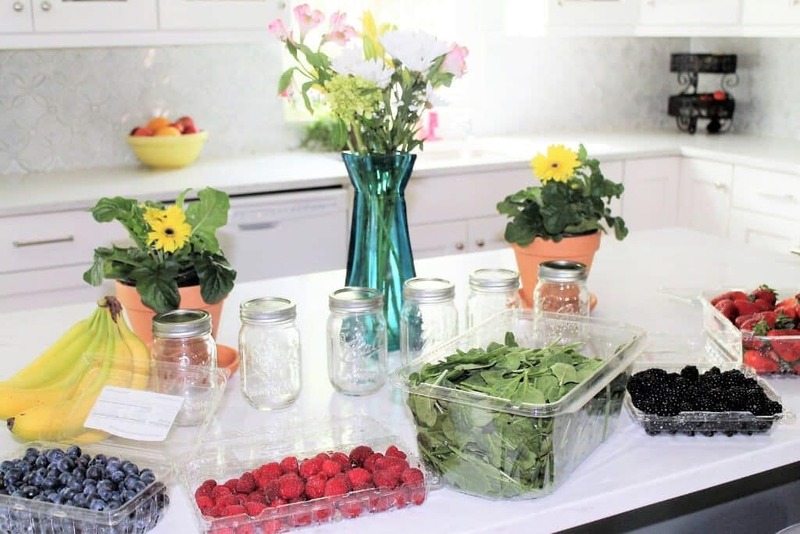 If you do not have a blender that fits Mason jars, put fruit in freezer bags, squeeze out the air and seal tight. 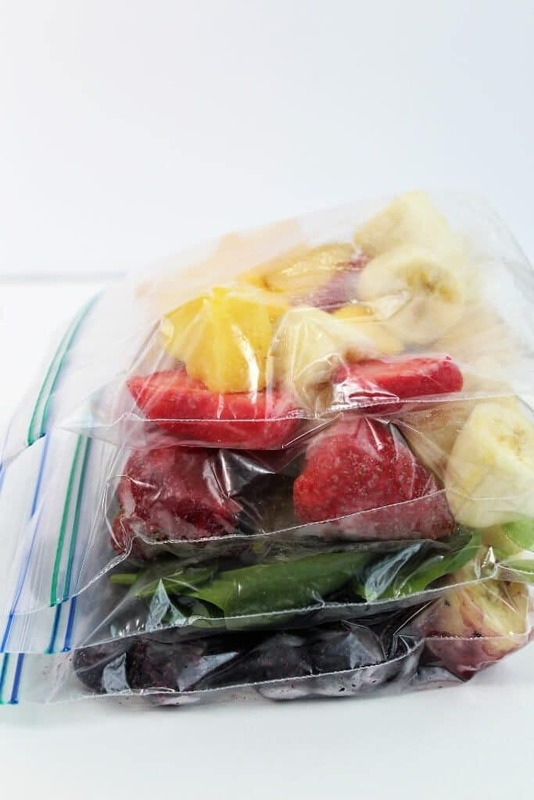 Add bags of prepared frozen fruit to a blender with milk and sweetener and blend. Please be sure to follow safety instructions for your blender! This is such a great idea! It has saved me a ton of time! 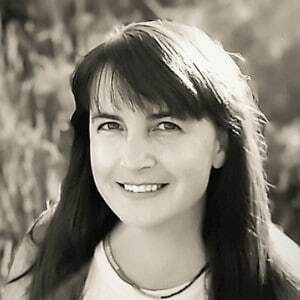 Thanks Jenn! It is so nice to open your freezer and see these ready to go!